Let's be real, managing yourself is a full time job and hardwork. From watching what goes into your mouth to what is coming our from your mouth, your mind/thoughts, your body when tension starts creeping up on you, that's a lot of effort. But trust me (I'm a yoga teacher lol) it's all worth it. Every dimension in your whole being comes alive. So keep coming for classes, and perhaps think about taking the next Foundation I Course (Teacher Training 100 hour) in October to December 2018. 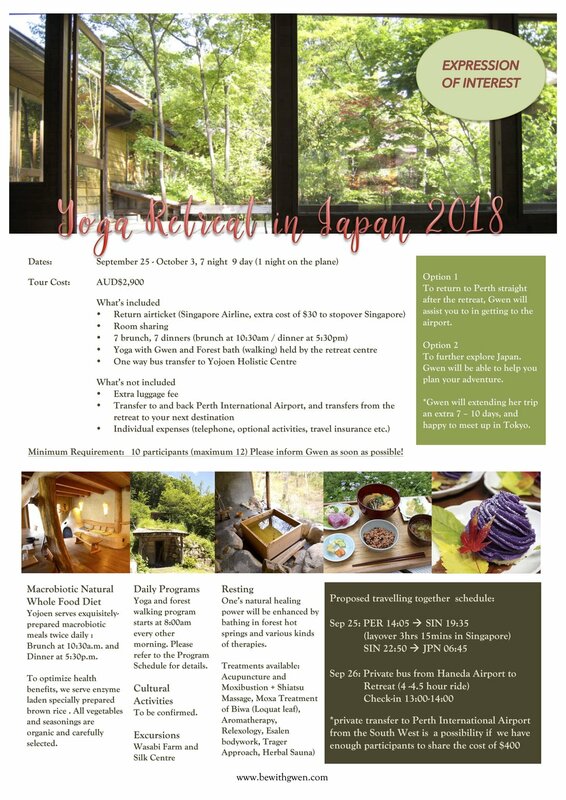 As you can see, a Yoga Retreat to Japan is in the pipeline! Finer details to follow, but I do need a show of hands as early as possible because it will only go ahead if there is a minimum of ten people. For members, who have completed their 40 classes on their members card, there is a special gift for you ;-) So don;t miss a class! 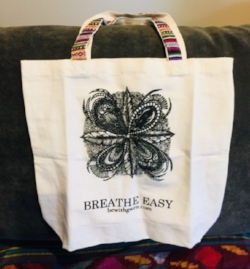 In support of raising the economic status of women through employment generation in Nepal, I've got these bags made, using fabrics made from hemp and cotton. Namaste and see you on the mat!